Koa is quite a name for a potbellied pig - it means "warrior." But in Koa's case, the name couldn't be more apt. Koa was discovered by a Good Samaritan in Ohio, with gashes and wounds all over his body, apparently beaten and left for dead. 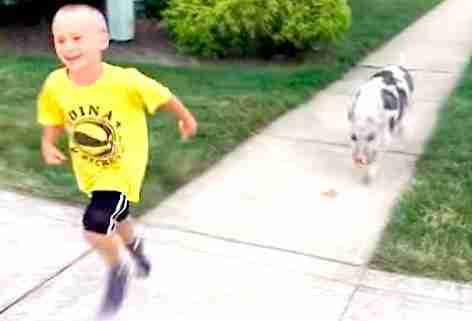 When the person tried to help, the terrified pig ran into the woods. It took all night, but volunteers from Sunrise Sanctuary and PETA combed through the trees and finally found Koa. They rushed him to Ohio State University Veterinary Hospital. Once there, Koa had to undergo surgery. One of his ears was so damaged, surgeons had to remove it. Later, while Koa was recuperating at Happy Trails Farm Animal Sanctuary, a little miracle happened. A local family from Medina, Ohio, heard his story. 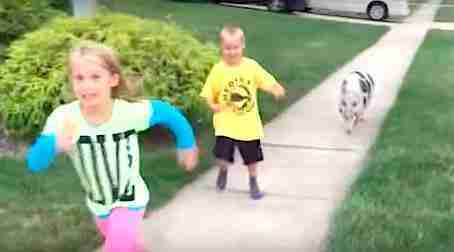 They reached out and offered Koa something he'd never had before: a home. Today, Sophie and Miles, the family's two children, are so in love with their little warrior. And Koa, despite his painful past, has no trouble relaxing now that he's safe. 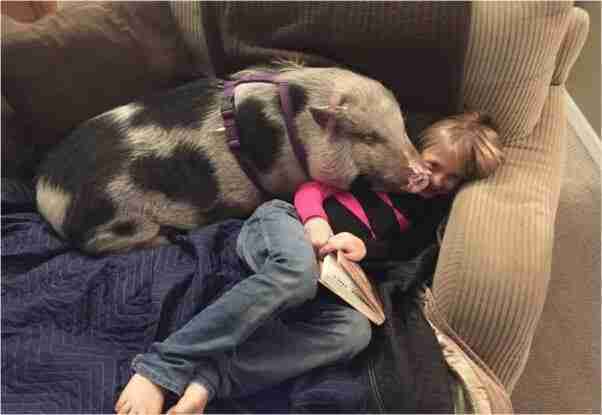 He cuddles up with his new family on the couch. And he happily chases them around the yard. 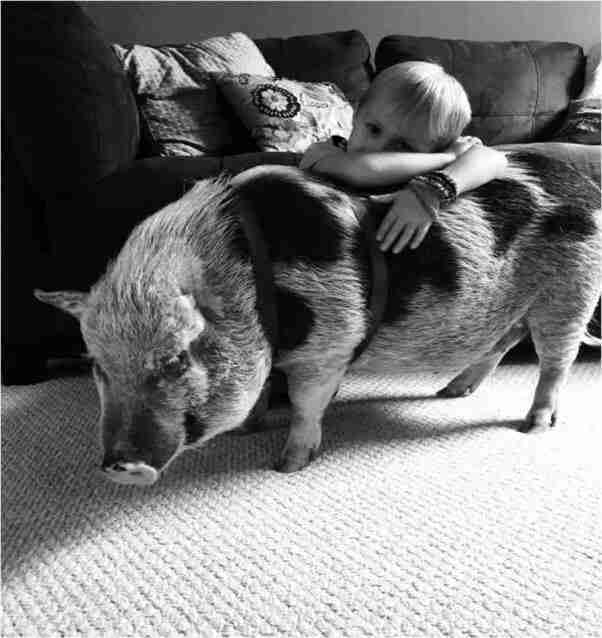 Thousands of pet pigs across the U.S. are abandoned when they become too big to handle. 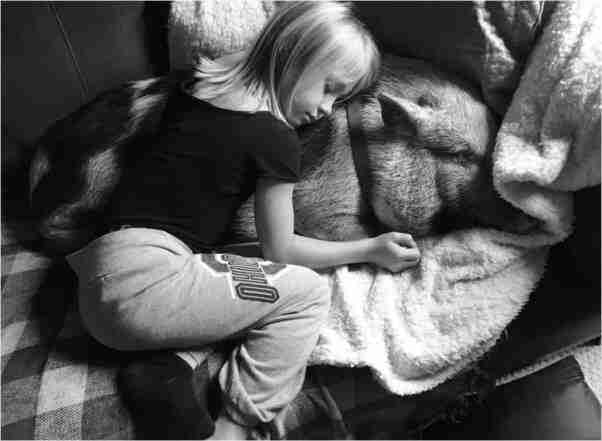 Learn the truth about keeping a pet pig here.